The name of the Konse village has been derived from the name of a former alderman and businessman Conze. 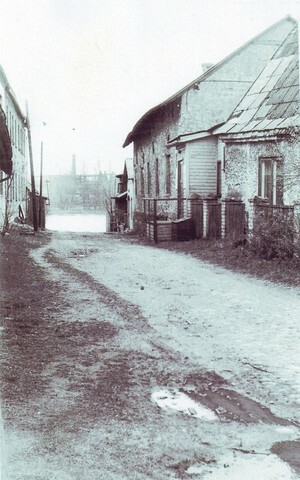 The Conzes had many possessions in Pärnu and they were bordered by Riia Street, Liiva Street, the Pärnu River and the old Cemetery. Merchant Adolf Conrad Conze (1784-1849) from Celle in Saxony married a merchant’s daughter Elisabeth Helene Harder (1799-1876) in 1813 and he received the citizenship of Pärnu in 1825. There were three sons and four daughters in the family. Since 1829 Conze was the Consul of Hannover in Pärnu. The eldest son Friedrich Anton (1823-1906) received the citizenship of Pärnu in 1868. The same year he was chosen the alderman and in 1877-1889 he was the Police Burgomaster of Pärnu. In 1881 he married Anna Walter (1836-1917) from Pärnu-Jaagupi. The company Conze & Ko specialised on the export of tow and became rich being on the 3rd-4th place after two large department stores of Pärnu according to the tax sum. Allegedly Friedrich Conze owned the flax store house and rope preparing sheds in Liiva Street that were sold to the Waldhof factory at the turn of the century and were rebuilt to become workers’ apartments. But it cannot be precluded that these buildings belonged to Hans Gottlieb Oelbaum (1816-1896). The other storehouse on the same plot was later used as a grain storehouse for Rotermann mill in Tallinn and the grain was brought by ships from abroad. The manager and one of the owners of Rotermanni Tehased AS was a Baltic German Christian Ernst August Rotermann (1869-1950). Rotermann had a large flour mill, a bread factory and a timber industry in Estonia. 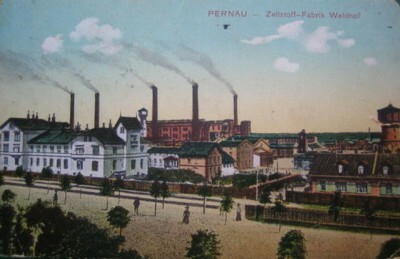 Later there was a stove tile factory of Hans Permann-Ants Pärnoja in the flax storehouse made of bricks and during the Soviet time different ceramic items were made there. In the wooden grain storehouse there were a cabinet maker’s workshop, a furniture workshop, a saddler’s workshop, a coffin industry and offices during the second half of the 20th century. The building was destroyed in fire in 2001. The flax storehouse made of bricks has also been pulled down; only the later extension has remained standing. Several apartments built out of the rope shed are still in use but the others have been abandoned. Friedrich Conze started brewing beer in Pärnu in 1867. In 1869 he built a brewery, an ice cellar and residential building(s) on the corner of Suure-Jõe and Liiva streets. But the larger beer producers in Pärnu forced him to finish his production and the brewery went first to Enrik Kull’s and then to the merchant and vodka industrialist Carl Norrmann’s possession who stopped brewing beer there for good at the end of the last century. During the Republic of Estonia the tin industry of A. Kull was operating in those premises but was liquidated in 1924. The later users of those rooms were A. Silvere brewery “Livoonia” in Tartu and the public limited company of Valga Industry and Commerce. They used the building as the intermediary storehouse. During the Soviet time the Liiva (Livoonia) fish factory of Pärnu Fish Plant and club rooms of the plant were situated there. It was one of the biggest industries in Pärnu were 2,500 people worked in 1981. In the old times ships were also landing at Konse’s place and there was a boatman to the other bank at Niidu. In 1915-1923 there was a floating bridge installed by the Russian Army there as an extension to the street. Waldhof was Russia’s biggest cellulose mill that was built between the Pärnu River and Riia Street and it started operating in 1900. At its peak more than 3,000 workers were working there. Elss Järvi (1901-1984), the mother of a world famous conductor Neeme Järvi also grew up in the worker’s settlement of Waldhof and in her book “Childhood stories” she describes life in Pärnu during the first decades of the 20th century. Elss Järvi’s father worked for Waldhof and their family lived in the flax storehouse that belonged to Conze before and was rebuilt into a workers’ residential building with 24 apartments. Neeme Järvi has been the conductor and general conductor of the Estonian National Symphony Orchestra and general conductor of the Estonian National Opera. In 1980 he emigrated to the USA together with his family. Neeme Järvi is one of the most recorded conductors in the world nowadays; he has conducted all of the most famous symphony orchestras in Europe, Northern America, Japan and Australia and been an expected opera conductor in reputable theatres both in Europe, Northern and Southern America.